Wedding invitations have evolved into something so personal and unique that you can actually get a feel for the wedding itself just by seeing (and touching) the invitation. Whether you choose parchment, custom engraving or print the invitations yourself, there are dozens of things you can do to spice up your invitations without breaking the bank. Photos – Consider incorporating your engagement photo into the invitation or save the date to make an impact. Words – Using your own words, maybe some sort of prose, will add an artistic flair. Be Creative – Use touches of your culture with color and font. Sparkle – A little sparkle never hurt anyone, right? A touch of glitter, a rhinestone or iridescent ink is very exciting. DO NOT add confetti – no one likes opening an envelope with confetti in it. Consider calligraphy instead of printed address labels, it really makes an impact. Postage – Using a stamp with a specific theme is a nice idea. Take it a step further by using custom photo stamps for all of your wedding postage. Also making sure you have the correct postage will save a ton of headaches. Can you imagine having 150 invitations returned? The most important thing to keep in mind when selecting your wedding invitations is that you don’t forget your personal style. Keep the event and location in mind and let that dictate the style of the paper, ink, font and wording. With literally hundreds of choices, it can get very confusing but, don’t despair – there is a style out there just right for you. Imagine for a moment that you have been looking forward to your first meeting with a particular florist, or baker, or wedding planner. You have done your research; called referrals, made sure they are accredited and have a good rating with the BBB. You make your appointment well in advance and then, suddenly, they cancel at the last minute. What do you do? Although I’m usually in favor of giving everyone the benefit of the doubt, there are cases when a cancellation might be a red flag. If the vendor cancels because they have overbooked, you might have cause for concern. This could mean there is a time management problem. However, if the vendor cancels because another event had a legitimate crisis that had to be handled immediately, this says the vendor is as concerned with keeping their existing clients happy as they are booking new clients. If the vendor cancels because of weather, health or personal family issues, we can all understand… these things happen. Of course, if it happens more than once, this could be someone who has a lot of drama in their life and it could be time to take a closer look at whether or not you can handle their drama. In essence, when a vendor cancels you need to use your best judgement to decide whether or not they deserve a second chance. If the reason is weak or there really is no reason, you should begin your search for another vendor to replace them … someone who is able to keep appointments. This is especially true for a bridal or wedding consultant. You are hiring them to manage your entire wedding and this is no easy task – there must be total faith and trust. The last thing you need to be doing on the day of your event is chasing vendors or worrying if things will be done properly. 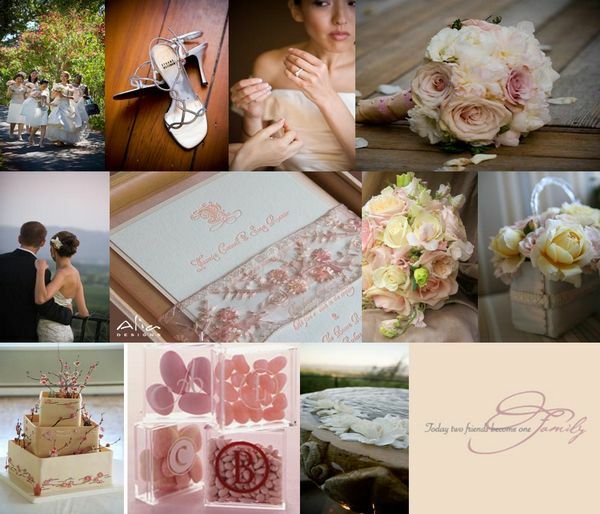 Blush Pink – A Year-Round Choice! There are some colors that are timeless, colors that transcend theme and season, that magically work in almost any venue and seem like the decor was planned around the event instead of vice verse. Blush is one of those colors. Blush is defined as a warm, delicate, rosy color. Definitely one of the most diverse colors in the pink family, blush can be worn by almost every skin tone from Olive to fair to African American to Asian. 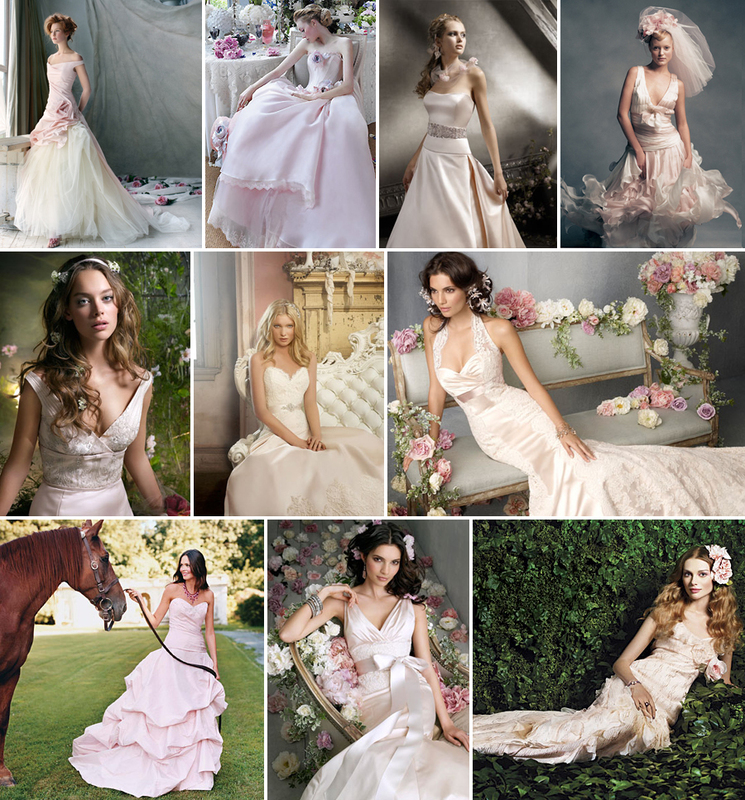 Designers have been showing bridal gowns in blush for years! 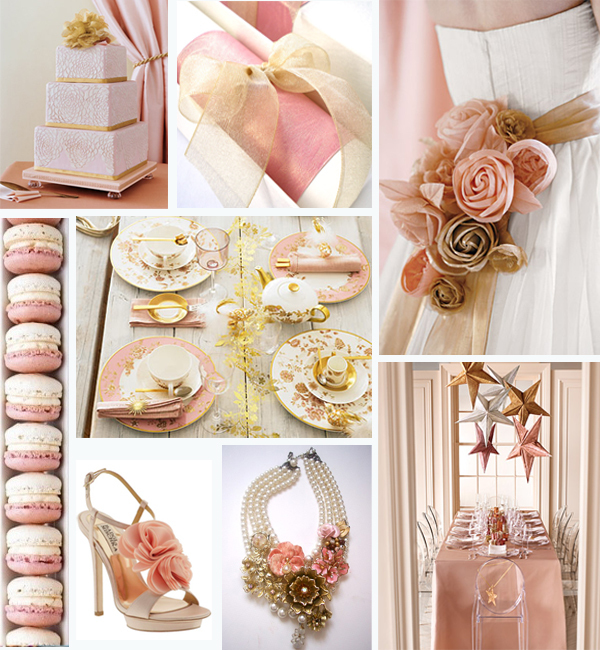 Blush goes perfectly with a Victorian or Vintage themed event. Sumptuous flowers with crystal accents create a French Art Deco mood. Belts, table accents, shoes, jewelry and other wedding accessories make a beautiful and delicate statement when featured in blush. This includes desserts and cakes. The greatest benefit of blush is the versatility. You will never find another color that is as easy to match or blend as blush, and with blush as your main color, you won’t have to worry about an accent color, since everything goes with Blush! The Grammys are always so much fun to watch because musicians seem to have so much fun with their fashions…. they don’t hold back – they have such a flair!! Last night was a tad more high brow ( no one showed up in meat or laid an egg) but, rest assured there plenty of red carpet hits and misses! 10) Jennifer Lopez – Everything about this dress by Anthony Vaccarello is wrong, the slit, the fit and the overall boringness of the “I have to expose myself to be relevant” mentality. 9) Adele wearing floral draperies. This is a common mistake; your dress does not have to match your shoes excatly. She would have been better off picking one bright color to go with the floral shoe! 8) Kelly Clarkson wins big in the singing department but, unfortunately is a huge fashion fail. It seemed like a safe choice, a non-descript little black dress but, this one is not the right one. Blah and ill-fitting. Kelly has so much going on for her in the talent department, but, girl needs some fashion advice… badly! 7) Lisa D’Amato in a really strange dress fit for a hoe-down.I can’t stop humming Entrance of The Gladiators. I’ll wait while you google it…..
6)Florence Welch vs. Godzilla. Wearing a green sequined Givenchy gown is a great idea, unless it has spikes made of _______! What? 5) Kimbra in Jaime Lee Major. In many ways , I think this dress is adorable…. Fun, sparkly, silly, youthful and just a little of this and that. But, the color combination is all wrong. Seriously….. it’s the Grammys – don’t be shy! 4) Kelly Rowland in this unbelievably well-fitting and show-stopping gown by Georges Chakra. 3) Katie Perry is all grown up and very sophisticated in this beautiful Gucci gown. Top to bottom perfection. 2) Justin Timberlake has never looked better than in this Tom Ford suit. 1) Rihanna is RED HOT, sheer perfection in Azzedine Alaia. It doesn’t get any better than this! Real or Fake? What’s The Difference? “You get what you pay for”… it’s true in many cases, and we all know it. If you have your heart set on designer gown, buying a knock-off will never be the same. Not only the designer tag, some key elements may be missing. The same goes with jewelry, shoes, and just about everything else. Here are the facts surrounding the real vs. fake argument. Gown– Buying a copy of a designer gown is never a good idea. Can you spot the fake in this picture? Headpiece– The same headpiece for less money (made poorly) is usually a disaster. Once your hair is done, having a headpiece that is poorly made can fall apart and will most likely destroy your hairstyle. Eyelashes – Applied by a professional individually or even in strips is fine. Doing it yourself is probably a bad idea unless you have tons of practice. Otherwise, they will look like caterpillars stuck to your eyelids. Three words: Professional makeup artist. Hair – Even the best hair extensions can ruin your hair for a period of time. The good news it is rarely permanent damage, bad news is that it escalates permanent hair loss if you are already prone. Bad hair extensions look like hair plugs and can fall out in clumps at any time for no reason. If you decide on hair extensions for your wedding, make sure it is done professionally and short term only. Tan – Over exposure to the sun in tanning beds and in real life has a negative affect on your skin. Self spray tans have a distinct odor and can streak or come off on your clothes plus they usually come out looking orange. The best idea if you must tan before your wedding is a professional spray tan no less than 5 days before the wedding. Even if your tan is just perfect – don’t forget to exfoliate the day before your wedding to avoid discoloration of the gown. Nails – Artificial nails, either gel or acrylic can look very natural so if you break a nail shortly before your wedding, this is an excellent option. Having extra long nails when you aren’t used to them makes things difficult to maneuver but, having extra long nails applied too long before the wedding runs the risk of breaking one or more shortly before ( or during) the wedding. Shoes – Knock off designer shoes are the absolute biggest mistake you can ever make. Your shoes should be comfortable, well-fitting and made of natural materials. Buying a copy of designer shoes in pleather is a mistake. Find the shoe that feels and fits the best on your foot without worrying about the label and you will never regret it. Makeup – A lot of research and testing goes into cosmetics. Well, not all cosmetics. Although it may possible to find less expensive makeup that does the same thing as a really great (probably expensive) foundation or Bare Minerals, the chances are you won’t. At the end of the day what really matters is how you feel. If you are so bedazzled and bogged down with tips, extensions, weaves and spray tans that you are hardly recognizable or if you are so worried about designer names that the quality has become an after thought, it might be time to re-think your priorities. When it is all said and done spending a little more money for quality products may sometimes be the only option to avoid becoming a knock -off of yourself. After all , you get what you pay for. At the Screen Actor’s Guild awards last night, there were a slew of stars gearing up for the Oscars. But, with a massive outbreak of the flu nationwide, more than a few big names were left at home with the sniffles. Did you see Justin Timberlake debut his professorial look? Talented? YES! Funny? You bet! This suit is a moderate loser but, he is getting more and more adorable with age! Oh, wait – Jennifer Lawrence is in this photo with JT and Bradley Cooper? Let’s just think about how that feels for a moment….. nice. 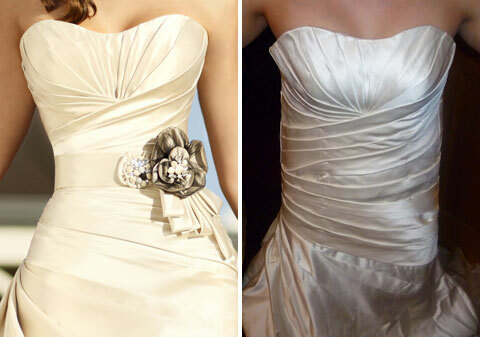 ps – Not a wardrobe malfunction, the gown is made in layers to eliminate bulk. The underlayer is attached to silk chiffon so, when she walked/lifted the top layer to take a step/ caught her heel on the gown, the chiffon peeps through and it make the gown appear to have been ripped. Jessica Lange wore a beautiful gown by J. Mendel. Soft, flowing and her hair and makeup were flawless. Really a great look for a lady of her … (whats the word?)…. talent. Sigourney Weaver, are you high on cold medicine? I get it – you aren’t a size 2 anymore and maybe you want something a little more loose fitting… but, this is a disaster. Who you gonna call? A stylist! Jane Lynch must have been taking the same cold medicine as Sigourney Weaver – this looks like something that she might have found in the back of Madonna’s closet. She has a terrific figure but this dress is all wrong for this occassion. Maybe Halloween in the Village. Maybe. Tina Fey in Osacr de la Renta and Amy Poehler in Zuhair Murad, our favorite funny gals from the Golden Globes were spot on with their fashion choices last jnight. Wit, looks and good taste … those girls are on fire! Sizzle! Did you have any favorites from last night’s SAG awards? A Color For All Seasons – Chartreuse! Few colors can transcend seasons like Chartreuse. Bold, Bright, Chic, Lively and Elegant, this is one of the most overlooked and misunderstood wedding colors! 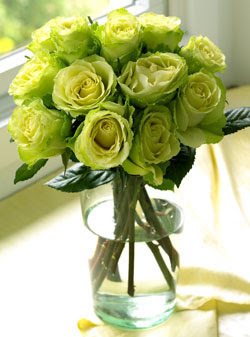 Chartreuse can freshen up any room and goes well with most interior decor. Bonus: It is a great color for a signature cocktail, even if your cocktail is simply Chartreuse. Chartreuse and Teal make a bright, bold statement when paired together. Chartreuse and Platinum make a sophisticated and more serene combination. Chartreuse and Honeysuckle is light, whimsical and well suited for a summer wedding. 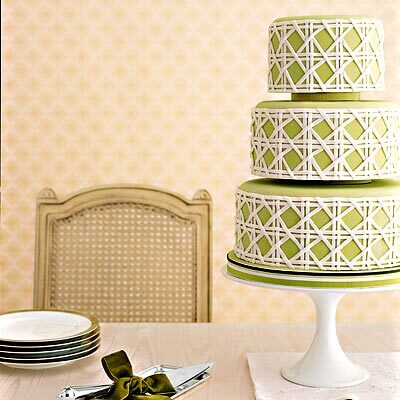 Chartreuse and Ivory is elegant and chic. Chartreuse and Fuchsia is hot for spring. Chartreuse and Plum make a luscious combination for a winter wedding. Black and White with Chartreuse accents is the perfect choice for any season! How do you feel about chartreuse? 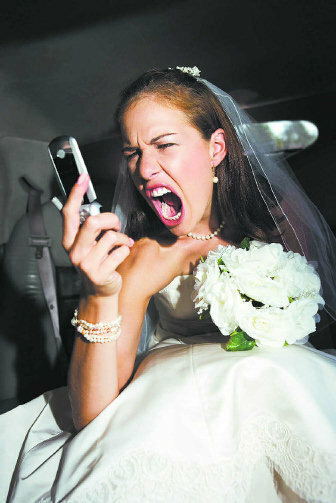 No one begins the wedding planning process worrying about every single detail that could go wrong. Correction, most people don’t plan this way, I’m sure that there are those rare exceptions. At the risk of frightening potential brides and grooms, there are about a million things that can go wrong on any given day much less the day or week of your wedding. Being prepared for a disaster is different than planning for one or even expecting something bad to happen, being on top of every detail is not Obsessive-Compulsive, it is responsible and requires clear thinking and adult decision making. A disaster is defined a sudden event, such as an accident or a natural catastrophe, that causes great damage or loss of life. Just so we are clear; a disaster is not when it rains on your wedding day, when the color of the napkins doesn’t exactly match the bridesmaid’s gowns or when you have a head cold the day before your wedding. These are minor inconveniences. Of course a sudden illness ( however short term or curable) can be a disaster; a burst appendix, or chicken pox. A disaster can be a blizzard that closes airports and roads for travel, stranding invited guests wherever they may be for days. A disaster can be the reception hall burning to the ground three days before your event. Although there is no way to prepare for these sudden and completely inconceivable forces that could turn your life upside down at a moment’s notice, there is a way to make them less devastating. Take care of your health – Without over-reacting, pay attention to any changes in your body. See your doctor and ask him or her to update your vaccines and if you have never had chicken pox, mumps, rubella or measles – get the necessary vaccine(s) far in advance of your wedding date. This also might be a good time to think about multivitamins. If you are taking any prescription medications, you must be diligent about dosage and watch for possible side effects. Travel Plans – If you are having a destination wedding, are traveling any distance or expect out-of town guests, check weather reports in the area where the wedding is planned and if there are any severe weather alerts (blizzard, tornado, hurricane) begin to think about alternative plans. Remind everyone who is traveling by air to book their flights well in advance, purchase the traveler’s insurance and pay the small amount extra to book a flight they can cancel or alter at a moment’s notice, it will pay for itself if needed. Overall Insurance – Many companies offer wedding insurance; comprehensive insurance that covers the entire cost of the wedding in case of disaster or emergency. Be careful, though, and make sure you use a reputable and reliable carrier. Always read the fine print and make sure you are covered for specific situations indigenous to your area. Without obsessing, without spending every waking minute worrying and driving everyone (including yourself) nuts – simply remember the Boy Scout credo: Always be prepared.